This week it’s all about hip mobility. A lot of things we do in life reduce the mobility of our hip joints and a lot of things we do in life require good hip range of motion- so how can we improve it? As well as general lifestyle tips such as not sitting down for too long during the day I am going to share with you a really great hip mobility exercise that works both hips in most directions. It’s a stretch so it can be done every day and even more if you have the time for it- you get out what you put in. Start in a press up position but with your hands directly below your chest so that they are quite close together. Starting with your left leg, bring your foot as close to your left hand as you can so that you are in a lunge position. From here you can put more weight through your left leg to really stretch out the left groin, or, you can rotate your torso to the right so that your right shoulder is pointing to the ceiling. Hold the stretches in the different positions for around ten seconds each. Repeat two or three repetitions on either side every day. A pretty good video of the initial position is available here. A new study by the University of East Anglia cites high heels as one possible cause of flat feet. This comes as no surprise, wearing high heels can increase the curvature in the bottom of the spine and the amount of shoe that actually takes the weight of the wearer on the ground is so small that all the weight is concentrated to the ball of the foot. Good footwear is an essential. Our feet carry all of our weight and the shoes we chose have a lot to do with the way we walk and the pressure we put on the rest of the body. Feet need a surface which allows them to bend, grip and roll as you walk, which is difficult to do when constantly wearing heels. You don’t have to say goodbye to high heels, as should be safe to wear in moderation, but you need to make sure they fit properly and take extra care when walking. Wearing the right shoes can improve posture. If the shoe supports your foot and allows you to use your foot properly, you can do as you please. If buying a pair of heels, make sure the shoe isn’t too tight, short or solid, otherwise you will restrict movement and you won’t be able to use your foot properly. For more information and links to the research mentioned, please contact us. Great programme on this week on the BBC about how to beat pain- some silly experiments but the ideas behind the need for effective exercise for chronic back pain and the role of ice and compression in the treatment of acute sports injuries are really well explained. Well worth a watch. 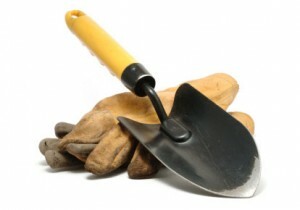 “Advice for gardeners” ..don’t over do it with the trowel! The nation’s gardeners will be coming out of the woodwork this spring as the gardening season sets in. With everyone in a rush to get those jobs done in the garden, there is a risk that gardeners may injure themselves. In an attempt to keep everyone healthy enough to actually enjoy sitting in their garden come summer time, Avon View Chiropractic has identified some tips to help you get through those garden tasks safely. Don’t start with heavy-duty gardening – start with the lighter jobs, like mowing the lawn, and then move on. If you are pruning, use long handled secateurs and get as close to the plants as you can! Don’t twist again – if you have to use a ladder to reach trees, hedges, large shrubs or fences– treat it like a dancing partner, always face it and move the ladder regularly. Always keep your shoulders, hips and knees pointing in the same direction. Also, make sure the ladder is firmly and safely planted in position and, wherever possible, have someone else standing at the base to keep an eye on things! If laying a patio, keep the slab close to your body and bend your knees. It is sometimes better to bend one knee rather two as your supporting leg gives you a position of strength. Dress appropriately – don’t wear tight, constricting clothes. Vary your activity; spend no more than 20-30 minutes on any one thing and take regular breaks. If you are planning a trip to the garden centre and buying heavy items like bags of compost or pebbles – buy more small bags, rather than one big bag. Smaller items are easier and safer to carry. If there is no other option, ask someone else to help carry it to the car and then when you get home, shovel out smaller quantities straight from the car and put it in to small containers. Pain is a warning sign do not ignore it – if you start to ache then stop what you are doing. Whilst sitting with an ice pack on my shoulder after another rugby injury at the weekend, I was reminded of a question a lot of patients ask me, “Do I use ice or heat?” So I thought I would take the time to outline the uses of ice and heat in pain management. It is best to try to identify the type of injury someone has before working out how to treat it and generally speaking injuries are characterised as acute or chronic. An acute injury is a short-lived injury with a rapid onset, which is usually accompanied by intense pain. They are often accompanied by warmth and redness in the affected areas, although, these are not always present. Chronic injuries are usually ones that develop over time and often will have no specific trigger. The pain involved may worsen slowly and is often due to poor posture and postural control over a long period. An acute injury that does not heal by itself will over time take more characteristics of a chronic injury. Cold therapy with ice is the best immediate treatment for acute injuries because it reduces swelling and pain. Ice is a vaso-constrictor (it causes the blood vessels to narrow) and it limits internal bleeding at the injury site. To ice an injury, wrap ice in a thin towel and place it on the affected area for 10 minutes at a time. Allow the skin temperature to return to normal before icing a second or third time. You can ice an acute injury several times a day for up to three days. A great tip for athletes with persistent injury sites is to freeze water in plastic cups. When showering after exercise, use the blocks of ice to massage the injury site for 2-3 minutes to help prevent inflammation. Heat is generally used for chronic injuries or injuries that have no inflammation or swelling. 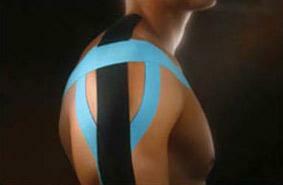 Sore, stiff, nagging muscle or joint pain is ideal for the use of heat therapy. Don’t apply heat after exercise. 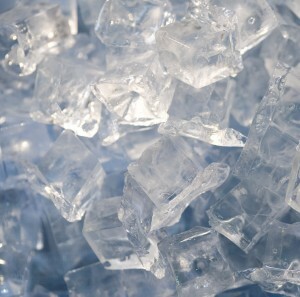 After a workout, ice is the better choice on a chronic injury. Moist heat is best, so you could try using a hot wet towel. You can buy special athletic hot packs or heating pads if you use heat often. Never leave heat pads on for more than 20 minutes at a time or while sleeping. For more information on using ice or heat, or, if your injury persists, call us on 01425 474046 to discuss your injury.